Albert Zadock Tillotson was the son of Zadock Tillotson, Jr. and Emily Maria Metcalf. Albert was born August 2, 1867 in Brunswick, Medina County, Ohio. He married Emily Feakins on September 23, 1888. Emily was born June 29, 1869 in Sullivan, Ashland County, Ohio to George Henry Feakins and Maria Orr. George was born in England and Maria was born in County Cork, Ireland. Roy Everett Tillotson was born on April 1, 1891. He married Mabelle Corrine Gould on May 26, 1917. Mabelle was the daughter of Frank A. and Clara Gould. Roy and Mabelle had graduated together in 1910 from Oberlin High School. Roy and Mabelle had three children. Robert Gould Tillotson was born in Hiram, Portage County, Ohio on January 12, 1924. He married Joan U. George on November 7, 1944. She was born in 1924. Robert and Joan had six children. During World War II Robert served with the Army Air Corps. While he was stationed in England he met his future wife Joan George. He also acquired a life-long interest in philately. After completing his war service Robert acquired a B.A. from Franklin College in Indiana in 1947, where his father Roy was a coach. The next year Robert completed an M.B.A. from the University of Indiana. Robert made his career in museum adminstration and security. He worked at the La Jolla Museum of Art and and the Los Angeles County Museum of Art, both in California; at Boston's Museum of Science; and in Ohio at the Toledo Museum of Art. Robert next spent fourteen years as assistant director of the Smithsonian National Museum of History and Technology. From 1974 to 1980 he chaired the International Committee on Museum Security for the Internation Council of Museums. His book entitled Museum Security was published by the council in 1977. In 1979 Robert was named the first executive director for the Smithsonian's recently expanded philatelic collection. Robert was a member of Phi Delta Theta, the Rotary club, the Republican party, and the Episcopal church. Robert died May 18, 1982 in Fairfax, Farifax County, Virginia of complications following surgery to remove a brain tumor. His wife Joan moved to Santa Barbara, California in 1983. She died March 8, 2000 in Santa Barbara, California following a long illness. Jean Adele Tillotson was born in Pittburgh, Allegheny County, Pennsylvania on October 15, 1919 and died in 1995. Virginia Anne Tillotson was born in Cincinnati on September 10, 1928 and died in 1947. Roy was a sports enthusiast. He lettered in football, basketball, and track at Oberlin High School. He worked his way through Oberlin College and played football there. In 1914 he was named to the All-Ohio team. Roy Everett Tillotson in 1925. Roy coached three champion football teams and two each of champion basketball and baseball teams at Allegheny High School in Pittsburgh, Allegheny County, Pennsylvania. From 1920 to 1924, Roy was Director of Athletics and Physical Education at Hiram College where his teams beat his alma mater twice in baseball and once in football. Roy moved to Miami University at Oxford where he became head basketball coach and assistant football coach. In 1930 Roy moved to Franklin College in Indiana and continued his winning ways. He finished his coaching career at the University of Toledo, Ohio. Roy and Mabel are buried in Franklin, Indiana alongside their daughter Virginia. Roy's obituary appeared in the Oberlin News-Tribune on September 6, 1962. Roy E. Tillotson, native of Oberlin and well known as an athlete in his high school and college days here, died last Thursday in an East Chicago, Ill. hospital. He was 71. His home was in Highland, Ind. Mr. Tillotson, graduate of both Oberlin High School and Oberlin College, was director of athletics and chairman of the department of physical education at Franklin College, Ind. from 1930 until 1950 when he resigned to become trainer and equipment manager at the University of Toledo. He retired in 1961. Earlier he had coached football and taught at Hiram College. Mr. Tillotson, born in Oberlin April 1, 1891, was the son of Attorney and Mrs. A. Z. Tillotson. He is survived by his wife, the former Mabelle C. Gould; a son and daughter; and two sisters, Miss Jessie Tillotson of Cleveland and Mrs. Mary Quayle of Delaware. Jessie Belle Tillotson was born on December 25, 1892. She never married. She taught in the Cleveland, Cuyahoga County Ohio public schools. The Oberlin News for January 7, 1908 relates how Jessie was honored for her musicianship by members of her church. In appreciation of the services of Miss Jessie Tillotson, organist for the Sunday school and prayer meetings of the First Baptist church, her friends in the church presented her with a gold watch and pin on her fifteenth birthday anniversary Christmas day. Miss Tillotson desires to express her thanks to the friends who remembered her with such a beautiful present. Jessie died in Cleveland, Ohio on August 15, 1972. Her obituary appeared in the Oberlin News-Tribune for Thursday, August 24, 1972. Miss Jessie B. Tillotson, 79, a teacher for a number of years at Prospect School, died in Cleveland on August 16. Miss Tillotson was born and raised in Oberlin, her father, Albert Z. Tillotson, practiced law here. She taught elementary school before moving to Cleveland. She was a life member of the Oberlin Eastern Star. She is survived by four sisters: Mary Quayle, Ruth Conley, Esther Phillips, and Rose Haslett. Memorial services were held on Saturday at the First Baptist Church of Cleveland. Mary Ella Tillotson was born November 22, 1894. She married Captain Philip Pollock Quayle on September 12, 1921. They had two children. Philip died in Cincinnati, Hamilton County, Ohio on February 21, 1931. The following obituary appeared in the Oberlin News-Tribune for February 26, 1931. Phillip Quayle, former Oberlin boy, died Saturday night in the hospital at Cincinnati, where he had gone the week previous for operative treatment. He was the younger son of the late Thomas J. Quayle of North Pleasant street, who was connected with the Oberlin Lumber Company for a number of years. 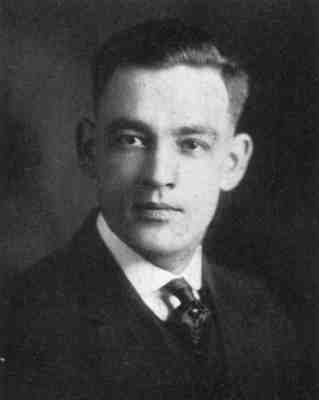 Phillip Quayle graduated from Oberlin high school in 1914 and later from Case School of Applied Science. For five years he was employed in the Bureau of Standards at Washington, D. C., and during his time there, wrote a thesis on "Sound Photography," which brought forth high commendation from three different nations. Mr. Quayle received honors both at home and abroad. His work has become part of the permanent exhibition of the Academy of Science in Washington, D. C., and of the Kensington Museum, London. The royal Photographic Society of Great Britain gave him their highest award, a bronze medal, and conferred membership in the Society on him. He was a captain in the U. S. Marine Corps Reserve. He was a contributor to American and English scientific periodicals. A French edition of his work is used by French artillery schools. He contributed an important article on "Spark Photography," with full-page illustrations, in the new edition of the Encyclopedia Britannica. He was rated as one of the greatest ballistic experts in the United States. For the past few years he has been head physicist of the Peters Cartridge Company at Kings Mills, Ohio. The family maintained their residence at Lebanon. His wife was Mary Tillotson, daughter of Attorney and Mrs. A. Z. Tillotson of this place. She with their two children, Thomas and May Jane, survive. Mr. Quayle also leaves his mother, Mrs. Harriet Quayle, of Cleveland, and one sister, Miss Dorothy Quayle, a teacher in the Cleveland schools. A brother, Lieut. Thomas Quayle, was killed in France during the early part of the war. The remains of Phillip Quayle arrived in Oberlin Wednesday afternoon, where a service was conducted by Dr. Van der Pyl. Interment took place in the family lot at Westwood. The following obituary appeared in the Elyria Chronicle-Telegram for February 24, 1931. Oberlin, O., Feb. 24 -- Phillip Quayle, 37, of Lebanon, Ohio passed away Saturday at a hospital in Cincinnati, one week after he underwent an appendicitis operation. Mr. Quayle was born in Berea but came to Oberlin with his parents at an early age. He was a graduate of Oberlin High School and Case School of Applied Science. Following his graduation he was with the Bureau of Standards in Washington for five years, and at the time of this last illness, he was Physicist for Peter Cotter's Company in Kings Mills, Ohio. Besides his wife, formerly Miss Mary Tillotson of Oberlin, he is survived by a mother, Mrs. Harriet Quayle of Cleveland, two children, Thomas J., and Mary Jane, and one sister, Dorothy, who is a teacher in a Cleveland school. Funeral services are being held at the home in Lebanon, O., and the remains will be brought here tomorrow for burial. Rev. Van de Pyl will have charge of the services and the grave. Mary died in Delaware, Delaware County, Ohio in October 1973. The following obituary for Mary appeared in the Oberlin News-Tribune for October 18, 1973. Mrs. Mary Quayle, 78, of Delaware, O., formerly of Oberlin, died Monday in Grady Memorial Hospital in Delaware following a long illness. She was born in Oberlin, graduated from Oberlin High School in 1914, attended Oberlin College and had lived in Delaware since 1939. Her husband, Philip, died in 1931. Services were held Wednesday in Asbury United Methodist Church in Delaware. Burial was in Westwood Cemetery. The following obituary for Mary appeared in the Elyria Chronicle-Telegram for October 15, 1973. Mrs. Mary E. Quayle, 78, of 192 West Central Ave. Delaware, Ohio, formerly of Oberlin, died this morning in Grady Memorial Hospital, Delaware, after a long illness. She was born in Oberlin and had attended Oberlin College. Her husband, Phillip, died in 1931. Mrs. Quayle lived in Delaware County since 1939. Surviving are a son, Thomas J., Brecksville, and a daughter, Mrs. Mary Jane Semans, Worthington; seven grandchildren; three sisters, Mrs. Esther Phillip, Cleveland, Mrs. Ruth Conley, Houston Tex., and Mrs. Rose Haslett, Hialeah, Fla.
Friends will be received in the Bennett-Brown Funeral Home, 92 North Sandusky St., Delaware, tomorrow from 7 to 9 p.m.
Services will be Wednesday at 11 a.m. in Asbury United Methodist Church, Delware. Burial will be in Westwood Cemetery, Oberlin. Frances Emily Tillotson was born March 13, 1898. She married twice. She first married Howard Willis Roberts on December 30, 1916. They had two children. Frances and Willis were divorced in 1931. Frances later married a man named Phillips. Ruth Marie Tillotson was born January 4, 1900. She married Paul Rector Conley on June 17, 1922 in Cleveland, Cuyahoga County, Ohio. Paul was born to Horace Molton Conley and Florence Annie Rector in Burke County, North Carolina on April 20, 1899. 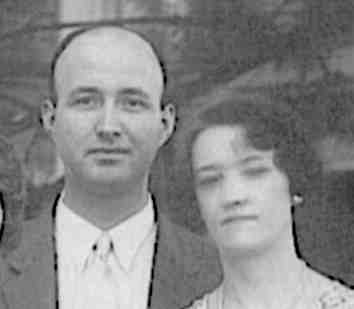 Paul Rector Conley and Ruth Marie Tillotson in 1933. Daniel C. Conley. He married Karol Marks. Richard Allen Conley. He married Anna Marjorie Glenn. They had four children. Richard was a naval officer during the Second World War. He later worked as a traffic manager for the city of Houston, Texas. Paul Rector Conley was a bookkeeper for Cleveland's Malleable and Casting Company. Paul Rector Conley died in Cleveland, Cuyahoga County, Ohio in 1944. He is buried in Crown Hill Cemetery. Ruth Marie Tillotson died in Houston, Texas in 1993. She was cremated. The following obituary of Paul R. Conley appeared in a Burke County, North Carolina newspaper. Angina Pectoris Fatal To Burke Native In Cleveland At Age of 44. Paul R. Conley, 44, a native and former resident of Burke county, died Saturday at Cleveland, Ohio where he had resided for many years. Death resulted from angina pectoris with which he had suffered for the past four years. He had been ill recently but his condition appeared "improved," and he had left the hospital to return to his home a few days before he was stricken. A member of a prominent Burke county family, Mr. Conley was a son of Mrs. Florence Rector Conley of Morganton and the late Horace Molton Conley. (Some illegible text omitted) ... Akron, Ohio, before going to Cleveland where he held an executive position with a metal industry. He was employed for a time as bookkeeper at the Morganton Furniture company as a young man before leaving Morganton. Frequently visiting his native home, Mr. Conley came here last March at the death of his father and returned again during the summer. Surviving are his wife and two sons, one of whom is serving in the Navy; his mother, Mrs. H. M. Conley of Morganton; three brothers -- Burtis L. Conley, H. Lester Conley and Guy A. Conley of Morganton; and two sisters, Mrs. Ben Hood of Lenoir and Mrs. Frank Shell of Clinton, Texas. Funeral plans were incomplete when members of his family left here Sunday morning for Cleveland. Going from here were Mr. and Mrs. H. Lester Conley, Mr. and Mrs. Guy A. Conley, Burtis L. Conley and Mrs. Hood. Esther Maude Tillotson was born July 20, 1903. She married Frank A. K. Owen on April 21, 1925. They had no children. Frank was cashier of The William Taylor and Sons company. Ruby Lou Tillotson was born October 6, 1905. She married Gottlieb Herman Brandt on Novermber 29, 1934 in Ohio. Gottlieb was the son of Paul Henry Brandt and Louise Babette Knies. Ruby and Gottlieb had three children. Ruby died November 7, 1957 and is buried in Lakeview Cemetery in Cleveland, Cuyahoga County, Ohio, USA. After Ruby died, Gottlieb married Virginia Weidlein in 1965. Virginia was the daughter of Luther Burdick Weidlein and Anna Pearl Jeffrey. Gottlieb Brandt died December 29, 1987 in Pompano Beach, Broward County, Florida, USA. He is buried in Lake View Cemetery. Virginia died December 3, 1994 in Pompano Beach, Broward County, Florida, USA and is buried with Gottlieb. Rose Elaine Tillotson was born May 24, 1909. She married William James Haslett. They had two children. Rose worked in The May Company's gift shop. Rose died August 29, 1994 in New Orleans, Orleans Parish, Louisiana. 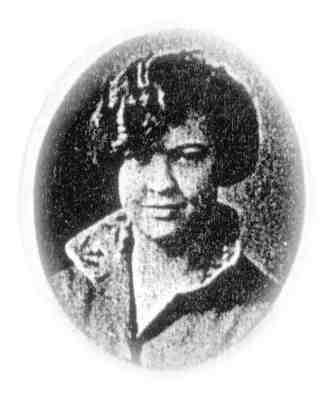 Rose Elaine Tillotson in 1926. Albert Zadock Tillotson taught school in Ridgeville and Camden, Ohio while he studied law with his uncle, Charles A. Metcalf. Albert was admitted to the bar in 1893. He practiced law in Oberlin for over forty three years. The following announcement appeared in the Oberlin papers to mark the official opening of the new combined law office of Albert and his uncle Charles. Our late fellow townsmen (sic) C. A. Metcalf, Esq., now of Elyria, has entered in a law partnership with A. Z. Tillotson, Esq., of our city, under the name of Metcalf and Tillotson. Mr. Metcalf will remain in Elyria while Mr. Tillotson will conduct the Oberlin office. The Elyria and Oberlin offices will be connected by telephone this week, giving ample facilities for communications by wire between them. Mr. Metcalf will be at the Oberlin office Thursday forenoons until further notice. Mr. Tillotson has resigned his office as Justice of the Peace and Police Justice, and will devote his entire attention to practice as attorney-at-law. He has made a good record as a magistrate and his retirement is to be regretted. A. Z. Tillotson, Attorney and Counselor-at-Law, Notary Public, and special attorney in the Pension Department. Office over No. 19 West College street, Oberlin, Ohio. Prompt attention given to all law business, collections, and pensions. Telephone number office 100, residence 67. Albert actively participated in the community, his church, and in professional organizations. He worked to improve conditions for everyone in Oberlin. For example, Albert was outrageed when he learned that patients were being turned away from the local hospital for lack of space. He penned the following strong plea for a new hospital. The article appeared in The Oberlin News for December 1, 1909. PRESENT BUILDING NOT ADEQUATE TO THE DEMANDS. Many Patients Have Been Turned Away for Lack of Accommodations. The needs of a new hospital for Oberlin are presenting strong arguments for an enlargement of the present plant. The writer has learned that eighteen would-be patients have been refused entrance into Oberlin hospital, on account of lack of accommondation, since August 1. The present building has only six rooms, which accommodates nine beds. There are six nurses, who could care for twenty-five patients if conditions were favorable. During the past year there have been ninety-seven patients treated in the hospital, of whom thirty-five were surgical cases, and sixty-two medical. Three were treated in the contagious hospital. The equipment has proven far too inadequate for the demands made upon it. The present arrangement for a building is very expensive from an economical standpoint. The rent of the house is $33.33 per month. The board of mangers (sic) are compelled to rent a room outside for the nurses' use at $7.00 per month, and the college pays $25 per month for the contagious hospital. This sum would pay interest on $13,000, which would be saved if the association owned its hospital. The college furnished twenty-eight per cent of the patients the past year, which shows that the town furnished seventy-two per cent of the patients. There is a strong demand for a training school for nurses in Oberlin on account of the educational advantages here, and experience has taught us that nurses are hard to get, and if we have such a school we will have our own help. It is impracticable to start such a school under the present accommodations. What we need is a modern, well equipped hospital, with accommodation for at least twenty-five beds, together with a home for nurses, and an endowment to insure the support of such an institution. Oberlin is an educational center, with over two thousand students annually attending school here. Why not make the necessary preparations proper care of the sick? The citizens of Oberlin should interest themselves in this humane project, and take the initiative and start the subscription at once. An appeal should be made to those who have been financially favored to have them give to the college such endowments to be used for hospital purpose. Unfortunately the new hospital Albert envisioned did not become a reality until Dr. Dudley Peter Allen willed Oberlin college $100,000 to build a hospital. The Allen Hospital opened in 1925 with a 25 bed capacity. While generous and supportive of the needy, Albert was not one to be taken in by con artists. The Oberlin News of January 27, 1909 recounts an amusing incident in which Albert successfully unmasked a faker. Tillotson Fooled The Smooth Clerical Individual. Tried to work Oberlin Minister for Money on a Hard Luck Story. On Saturday a smooth individual with a dress suit case and a clerical look dropped into town and inquired for the Baptist minister. He was directed to Rev. Detweiler, to whom he unfolded a very plausible hard luck story, giving his name as Rev. Bumpus, of Curtis, Lucas (?) county, Ohio. He said he had been preaching at a little town near Buffalo, and as the church was poor he could not get his salary, so was on his way home and had just money enough to bring him to Oberlin. He deplored very much the dire straits to which he had been reduced and declared he was willing to work or do anything to earn money enough to take him to Curtis. Mr. Detweiler not being quite satisfied with the man's story, but willing to assist him if he proved to be worthy, took the fellow to the office of A. Z. Tillotson, who, lawyer-like, plied him with all sorts of questions, and caused him to convict himself. When the man was told that Curtis was in Ottawa county he wilted, but tried to explain by saying he was away from home so much that he scarcely knew in which county he did reside. Tillotson had a lot of fun with the imposter before letting him down, but when the climax came the rascal sneaked away and has not been seen since. Albert was a prohibitionist like many of his Tillotson relatives. His mother Emily Metcalf Tillotson was a member of the Woman's Christian Temperance Union in Oberlin. The Oberlin News for October 7, 1908 published a table Albert prepared of the current status at that time of local prohibition laws and the number of "dry" counties in each state. No doubt Albert was active in supporting local prohibition efforts. Albert was a good father and protective of his children. When Albert's daughter Ruth was beaten by a neighborhood bully he not only took steps to punish the offender but also to publicize the general problem with children bullying other children. He hoped that by prosecuting the girl who beat Ruth he might send a message to other children and their parents that such behavior would not be tolerated. This account appeared in The Oberlin News for December 1, 1909. Larger Children Domineer Over the Smaller Ones and Beat and Frighten Them. Considerable complaint has been entered of late from certain of the public school children chasing and striking smaller children on their way to and from school. Last Saturday Elizabeth Berry, daughter of John Berry, was found guilty by Police Justice Summers on a count charging her with creating a disturbance on the public streets. It seems that she chased Ruth Tillotson and struck her on the head with a stick, which was the foundation for her arrest. A. Z. Tillotson swore out a warrant and prosecuted the case. This practice of one child domineering over another, simply because of their being stronger in brute force, ought to be stopped, and the good citizens of Oberlin should lend their assistance in breaking up such practices. The teachers in the public schools are unable to handle the situation unless they are supported by the citizens. A few prosecution (sic) like this one will tend to stop this practice. The following biography of Albert Zadock Tillotson appeared in A Standard History of Lorain County, Ohio edited by G. Frederic Wright and published in 1916 by The Lewis Publishing Company, Chicago. ALBERT Z. TILLOTSON. While most lawyers of Lorain County have their homes in Elyria, one of the able representatives of the profession is Albert Z. Tillotson, of Oberlin. Mr. Tillotson has a very large private practice, and his position is such that it is evident that he made no mistake when he returned from his career as a school man, which he had followed for a number of years, to the law. Born at Brunswick, Medina County, Ohio, August 2, 1867, he is a son of Zadock and Emily M. (Metcalf) Tillotson. Both parents were natives of Ohio, his father born in Brunswick in 1835 and his mother in Liverpool in 1843. They were married in Liverpool, Ohio, in 1860 and the father died after a long career as a farmer in May, 1913, at the home of his only son and child, Albert Z., in Oberlin. The mother died in 1898. The latter was a member of the Baptist Church while the father was a Methodist, was a republican in politics and was affiliated with the Independent Order of Odd Fellows. Albert Z. Tillotson finished his education in the Oberlin Business College, and had also attended a select school in Brunswick. His work as a teacher was continued through sixteen terms, and in the meantime he had taken up the study of law under his uncle, C. A. Metcalf, and after his admission to the bar practiced with his uncle at Oberlin and Elyria for five years. Since then he has been alone in practice and has handled cases before all the courts of the state and the Federal district. In politics he is a republican and an active party man in his section of Lorain County. He has served as justice of the peace, and was elected police judge of Oberlin, being one of the youngest men honored with that office. He has also been a candidate for nomination as probate judge. In 1888 Mr. Tillotson married Emily C. Felakins (sic). She was born in Sullivan, Ashland County, Ohio, daughter of George Felakins (sic), a farmer and early settler there. Mr. and Mrs. Tillotson have a fine family of eight children: Roy E., who is now a senior in Oberlin College; Jessie, a teacher in the public schools; Mary E., a teacher at Penfield; Frances E., who is employed in Cleveland, Ohio; Ruth Marie, Esther M., Ruby Lou, and Rose Elaine, all at home. Mr. Tillotson is a member of the Baptist Church, is a Mason, having served as senior deacon in his lodge, has passed all the chairs of local lodge of Royal Arcanum, and is also a member of the Knights of Pythias. Albert Zadock Tillotson died November 4, 1935 in Oberlin, Lorain County, Ohio. He is buried there in Westwood Cemetery. HIs wife Emily Feakins, an invalid, survived Albert but at the time of his death had been living for several years with their daughter Mary in Lebanon, Warren County, Ohio. Emily was unable to attend Albert's funeral because of her condition. Attorney A. Z. Tillotson, 67, who has been practiccing (sic) law in Oberlin for a number of years, died early this morning at Allen hospital. He leaves a wife, one son, and seven daughters. Funeral arrangements will be announced later. Funeral services for Attorney A. Z. Tillotson, who passed away yesterday at Allen hospital, will be held Wednesday at 2:30 at the Sedgeman Funeral parlor, with Rev. George J. Huntley officiating. Burial will be made in Westwood Cemetery. 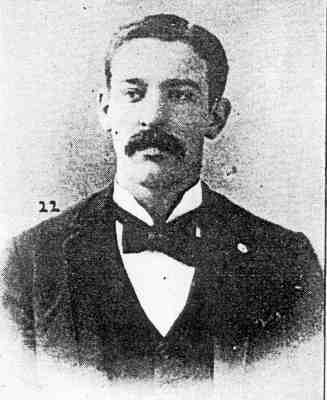 Mr. Tillotson was born in Brunswick, O., August 2, 1867, but spent the greater part of his life in Oberlin. He graduated from Oberlin High School and from Oberlin Business College and then taught for five years in Ridgeville and Camden school. He then studied law for several years in the office of his uncle, Charles Metcalf, in Oberlin. He was admitted to the bar in 1893, and has since practiced law in Oberlin. Mr. Tillotson was a member of the Masonic order, the K. of P. Lodge, the Royal Arcanum, and a number of the Bar Association in Elyria. He was also a life long member of the First Baptist church. Besides his wife, Emily C., who because of ill health is being cared for at the home of her daughter Mary in Lebanon, Ohio, he is survived by one son, Roy E., who is a coach at Franklin College, Indiana, and seven daughter, Miss Jessie Tillotson, Mrs. Frank Phillips, Mrs. Paul Conley, Mrs. William James Haslett, Mrs. Herman Brandt of Cleveland, and Mrs. Mary E. Quaile (sic) and Mrs. Esther Owen of Lebanon, Ohio. Common pleas court will be suspended in Elyria tomorrow afternoon to permit members of the bar to attend the funeral. Elyria attorneys will meet in a body at the court house at 1:45 p.m. to go to Oberlin for the services. After an illness of several months, Attorney A. Z. Tillotson died at Allen Hospital at 12:15 Sunday night, aged 67. He had been in poor health during the last year or so but had attended to his practice until a few weeks ago. Mr. Tillotson was born in Brunswick in 1867, son of Mr. and Mrs. Zadock Tillotson. At an early age he came to Oberlin to study. He completed the high school course and then he entered the Oberlin Business College. He taught school for five years in Ridgeville and Camden and studied law in the office of his uncle, Charles Metcalf who had a law office on East College Street. He was admitted to the bar in 1893 and had practiced law here for over 43 years. During his years in Oberlin Mr. Tillotson had taken an active part in community life. He was president of the Oberlin Cemetery Association for many years and also had charge of the Associated Charities until that organization was absorbed by other relief work. He had served as city solicitor for a number of years and he was active in many of the civic organizations. He had served as vice president of the Lorain County Bar Association and had taken an active part in the State Bar Association. He was a member of Oberlin Masonic Lodge and Chapter, was a Past Patron of Pansy Chapter, Order of Eastern Star, and an active member of the Knights of Pythias. He was a member of the First Baptist church. Mr. Tillotson was married on September 23, 1888, to Miss Emily Peakins who had been an invalid during the last six years. She is now residing with a daughter in Lebanon, and on account of her serious condition, it is impossible for her to come to Oberlin for the services tomorrow. Besides his wife Mr. Tillotson is survived by a son and seven daughters: Roy E. Tillotson, Oberlin graduate and now coach at Franklin College, Indiana, Miss Jessie Tillotson of Cleveland, Mrs. Mary E. Quaile (sic) of Lebanon, Mrs. Francis Phillips, Mrs. Paul Conley, Mrs. Esther Owen, Mrs. Herman Brandt and Mrs. William James Haslett of Cleveland. Mr. Tillotson was a man of fine personality and Christian character. He was conscientious and diligent in his practice of law and in his business dealings. He had a charitable nature and a deep sense of tolerance for those who viewed life in opposite ways to his own beliefs. He had been a valued citizen who did his best for Oberlin in a public capacity and as a resident. Funeral services will be held Wednesday afternoon at 2:30 at Sedgeman's Funeral Parlors with Dr. George Huntley in charge. The Masonic Lodge will have charge of the services in Westwood cemetery. Emily Feakins Tillotson died August 6, 1937 in Lebanon, Warren County, Ohio. Her death notice in The Chronicle-Telegram reads as follows. Word has been received of the death of Mrs. A. Z. Tillotson which occurred in Lebanon, Ohio, where she had been making her home with her daughter, Mrs. Mary E. Quaile (sic), for several years. She formerly resided in Oberlin for many years. She was a sister of J. H. Feakins of Oberlin, and is also survived by six daughters and one son. Mr. Tillotson passed away several years ago. Arrangements have not been completed for the funeral which will be held in Oberlin. Interment will be made in the family lot in Westwood. Emily's obituary from The Oberlin News-Tribune of August 10, 1937 reads as follows. The funeral of Mrs. Emily C. Tillotson, widow of A. Z. Tillotson, for many years a practicing attorney in Oberlin, was held at the Sedgeman funeral parlors Sunday afternoon at 4 o'clock. Rev. Gordon Trick, pastor of the First Baptist church, was assisted by Rev. William Smith. Burial was made at Westwood. Mrs. Tillotson, who was 68, died Thursday at the home of her daughter, Mrs. Philip Quayle at Lebanon after a long illness. Mrs. Tillotson spent almost all her life in Oberlin. She was a member of the First Baptist church and was active in civic affairs. In addition to Mrs. Quayle, Mrs. Tillotson leaves six other daughters and one son. They are: Miss Jessie Tillotson, Mrs. Frank Phillips, Mrs. Paul R. Conley, Mrs. Esther Owen, all of Cleveland; Mrs. Herman Brandt of Parma; Mrs. William J. Haslett of East Cleveland and Roy Tillotson of Franklin, Indiana. Mr. Tillotson, who practiced law in Oberlin the greater part of his life, was active in Republican politics. He died several years ago. Photos of Roy Everett Tillotson courtesy Hiram College archives and Miami of Ohio archives. Daniel C. Conley provided the death notices, obituaries, and biographical extracts for Albert Zadock Tillotson, Emily Feakins, and Paul R. Conley. Daniel also provided the photos of Albert Zadock Tillotson, Rose Elaine Tillotson, Paul Rector Conley, and Ruth Marie Tillotson Conley. Mary Prue Reviea and Jane Heather Tillotson provided information about Roy Everett Tillotson's children. Jane Tillotson provided the death date for Ruby Lou Tillotson Brandt. Back to Zadock Tillotson, Jr.